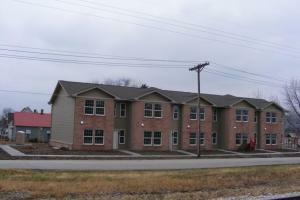 Covered Bridge Apartments consists of the new construction of 24 units at 569 W. 150 S. in the unincorporated south Washington area of Daviess County. The project will have 8 one-bedroom, 12 two-bedroom and 4 three-bedroom apartments. The development includes the construction of a multi-purpose building to house the leasing office, community center and computer center, along with Four Rivers Resource Services’ Community Living Division staff. The project will provide affordable housing to persons with disabilities, seniors, low-moderate income families as well as the general population. The site is within 1/2 mile of a Walmart Super Center, multiple restaurants, banking, medical facilities, recreation and pharmacy. Amenities proposed for Covered Bridge Apartments. will be dishwashers, range, energy star rated HVAC, washer/dryer hook-ups and appliances, refrigerators and microwaves. The site is divided by a stream that runs through it. The stream corridor and much of its forested buffer will be preserved; a pedestrian covered bridge will be built to create a focal point within the development. Ride Solution will offer a fixed route transportation dedicated stop at Covered Bridge Apartments. Construction on this development will be completed in late summer of 2011. Seven single family homes were rehabilitated or newly constructed around Linton, IN as a part of the Neighborhood Stabilization Program. These three bedroom homes will be rented to low-moderate income families when construction is complete in 2011. Located at 740 K Street Southeast in Linton, Independence Place is a 32 unit apartment complex consisting of one, two, three and four bedroom units. Built on four acres of land in 2008, Independence Place opened July 4th of that year and way fully leased up by the end of November 2008. The development was funded with tax credits, grants from IHCDA, FHLBI and permanent financing. The project provides affordable housing to persons with disabilities, seniors, low-moderate income families as well as the general population. All units include these amenities: dishwashers, range, energy star rated HVAC, washer/dryer hook-ups and appliances, refrigerators and microwaves. Four Rivers’ Plainville Group Home was rehabilitated in 2007 with the help of a Permanent Supportive Housing grant from IHCDA. The focus of the grant was to make the home more accessible for the tenants that lived in the home and for visitors to the home. A fully accessible kitchen was added to the home and a fully accessible roll-in shower was added to one of the bathrooms. Many other accessible enhancements were added to the home as well as esthetic improvements. The group home houses eight individual men. Constructed in 2010, the duplexes consist of ten buildings, 20 rental units of two and three bedroom units. Located at 489 SE 8th Street in Linton, the project was funded through grants from the Neighborhood Stabilization Program. The project was a collaborative effort of the City of Linton, Generations, EnGage, SIDC, Milestone Ventures, Inc. and Four Rivers. All units will include these amenities: dishwashers, range, energy star rated HVAC, washer/dryer hook-ups and appliances, refrigerators and microwaves. 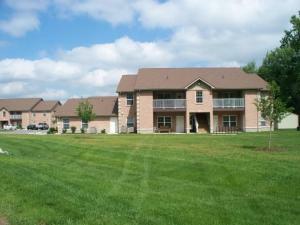 Liberty Place Townhomes were constructed between 2010 and 2011 as part of the Neighborhood Stabilization Program. 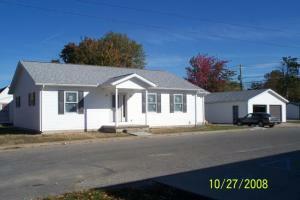 The project is located at 239 SE 7th Street in Linton and consists of 5 three bedroom rental units. 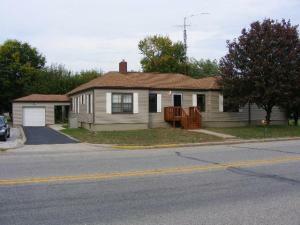 This single family home was built in 2008, centrally located in Sullivan, IN; the three bedroom home with a detached two car garage was constructed with a grant from Indiana Housing and Community Development Authority (IHCDA) as part of their Homebuyer Program. The home was purchased by a family of four in 2010.